A Journey of Grace: The Formation of a Leader and a Church. By Herbert W. Chilstrom. Minneapolis: Huff Publishing Associates/Lutheran University Press. $25.00, hardbound. 600 pages, 2011. www.lutheranupress.org. One of the fascinating things about A Journey of Grace, an autobiography written by Herbert W. Chilstrom, is the number of levels at which it can be meaningfully read. To some extent, it is the story of the Augustana Synod as it came to fruition in this man who became the first presiding bishop of the Evangelical Lutheran Church in America (ELCA), a church in which Augustana was a decided minority. On another level, it is the institutional story of the beginning of the ELCA, the largest Lutheran church body in the United States. At the same time, the book is a very personal story of a marriage and a family that had more than its share of challenges, which tested but never defeated the sense that God’s hand was at work in their lives. Above all, however, it is, as the title suggests, the story of a journey of grace or, to put it in other words, a love story of a man and his God, his church in its various manifestations (Augustana, the Lutheran Church in America [LCA], and the ELCA), and his family, especially his wife Corinne. 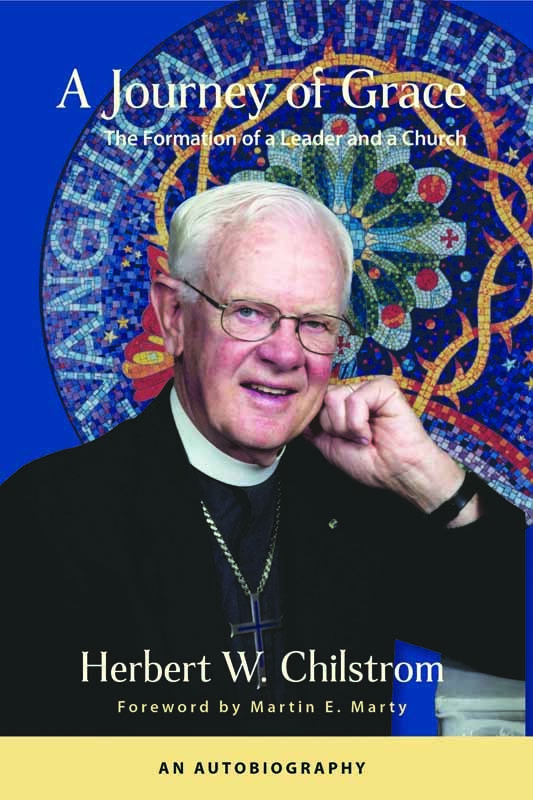 The Evangelical Lutheran Church of America’s first presiding bishop, Herbert W. Chilstrom, has penned an autobiography that brings alive his own story and that of the early ELCA. Chilstrom is an engaging storyteller, such that the length of the book does not become burdensome even when the wealth of detail seems excessive. I do not recall that Chilstrom ever uses the word “providence” to describe this journey. It is, after all, not a word heard all that much in Lutheran circles. But there is a strong sense of God’s providence at work in this narrative, a providence tempered by a host of situations and circumstances, however challenging, that never rise to the level of overwhelming or causing a denial of God’s grace. There are occasional hints of humor — for example, the description of what was probably his shortest sermon ever — as well as glimpses of anger and resentment — against the DMX group, for example, and its activity at the Assembly during which he was first elected presiding bishop. There are references to his accomplishments — “Mission 90 may have been my single most important contribution to the life of our young church” — as well as an acknowledgment of mistakes made or errors in judgment — the timing of his first visit to ecumenical churches abroad — and comments on difficult relationships with other leaders in the church. But all such matters only add texture to what is the main theme: that his life, both personal and professional, has been lived under the canopy of God’s grace. It has been an eventful life and not one that a young boy growing up in rural Minnesota could have anticipated or probably even imagined. More than once in the early pages of this autobiography, Chilstrom uses words such as “I would not have known” or “little could I have imagined” to describe situations in which he would find himself in later years. Chilstrom’s is not a Pollyanna faith, however. 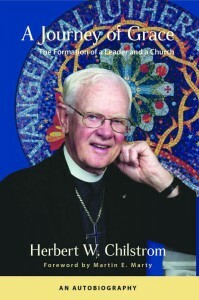 As a parish pastor, a teacher/administrator at the Lutheran Bible Institute (LBI) in Teaneck, New Jersey, again as a parish pastor, and finally as a bishop, first in the Minnesota Synod of the LCA and then as the first presiding bishop of the ELCA, Chilstrom witnesses to God’s grace in the face of challenges for which there were no easy answers, while honing his own ability to make necessary difficult decisions. In his relationship to his dearly loved but mentally challenged brother David, Chilstrom began to learn about the theology of the cross. At Augustana Seminary, he acknowledged the gifts received from his study at LBI — knowledge/content of the Bible, accent on the global mission of the church and faithfulness to its mission, and a strong devotional practice — but also moved away from a narrow view of faith and of the Bible and a legalistic pietism. In facing the suicide of his son and in confronting various health issues he and Corinne have experienced, he was held by God’s compassion. And in the daunting task of being at the helm of the creation of a merged church, the simple prayer “Help me fear no one but you” remained the center point, however dire the circumstance or difficult the challenge. Chilstrom’s is not a Pollyanna faith. It is rare for a book to be a valuable read on many levels. This is one of those rare ones. Randy A. Nelson is emeritus professor of contextual education at Luther Seminary, St. Paul. He is a member of Holy Trinity Lutheran Church (ELCA), Minneapolis.